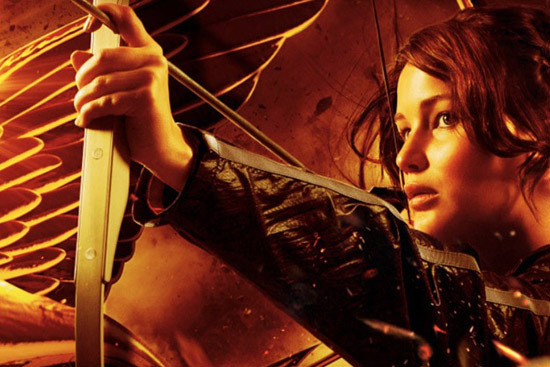 Lionsgate Release New Motion Poster for 'THE HUNGER GAMES: CATCHING FIRE'! Lionsgate has released a new motion poster for The Hunger Games: Catching Fire. Directed by Francis Lawrence, the sequel to The Hunger Games stars Jennifer Lawrence, Josh Hutcherson, Liam Hemsworth, Lenny Kravitz, Elizabeth Banks, Stanley Tucci, Donald Sutherland, Toby Jones, Woody Harrelson, Jena Malone, Philip Seymour Hoffman, Amanda Plummer, Lynn Cohen, Patrick St. Esprit, Meta Golding, Bruno Gunn, Alan Ritchson, E. Roger Mitchell, Maria Howell, Stephanie Leigh Schlund, Sam Claflin & Jeffrey Wright. The sequel picks up as Katniss Everdeen returns home safe after winning the 74th Annual Hunger Games along with fellow tribute Peeta Mellark. Winning means that they must turn around and leave their family and close friends, embarking on a 'Victor's Tour' of the districts. Along the way Katniss senses that a rebellion is simmering, but the Capitol is still very much in control as President Snow prepares the 75th Annual Hunger Games [The Quarter Quell] a competition that could change Panem forever. The Hunger Games: Catching Fire hits theaters & IMAX November 22nd 2013. Hit the jump for the details. I'm reading: Lionsgate Release New Motion Poster for 'THE HUNGER GAMES: CATCHING FIRE'!Tweet this!